As in any battle, the enemy wants to confuse us, distract us and draw our attention to other things. If we allow that to happen we will wander from the front line thinking the battle is elsewhere, or perhaps worse, we will engage the wrong enemy all together. 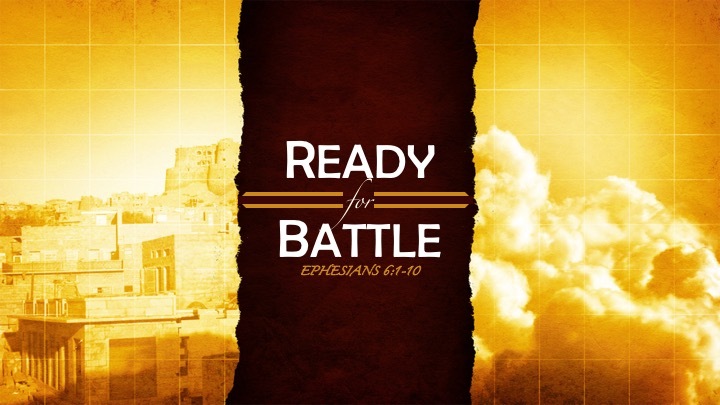 This week we launch our new sermon series out of Ephesians 6 , “Ready for Battle.” In this passage Paul calls us to put on the whole armor of God and to ready ourselves for battle. All the while keeping our focus on who the real enemy is. When we are prepared, and when we rely on God’s strength rather than of our own, we might be shocked at the victories that come. 1. Is spiritual warfare something you think much about? Is it something you would say you are actively engaged in? What does it look like in your life? 2. Our adversary the Devil seeks to destroy us. What are some of his more common schemes? How can we be on the look out for them, and what can we do to avoid them? 3. How does bitterness and jealousy become a tool in the enemies hand to hinder us from serving the Lord? 4. Read Ephesians 6:12 - What “enemies” do we actually find ourselves fighting most often? Are they in line with Ephesians 6:12, or are we fighting the wrong battles? Prayer: Pray this week that God would open our eyes to the schemes of the enemy and that we we would not fall prey to his deceptions.